Autumn is here and I'm sure you have seen the flood of boot fashion come across your feeds, but if there is one type of boot that you should invest in this season it is the over-the-knee boot, why? Well, let me show you! I bought myself this black pair last year and then wore them pretty much non-stop, to the point that I realized I had more than five outfit blog posts featuring them. They are so versatile and also just make an outfit look super sleek. 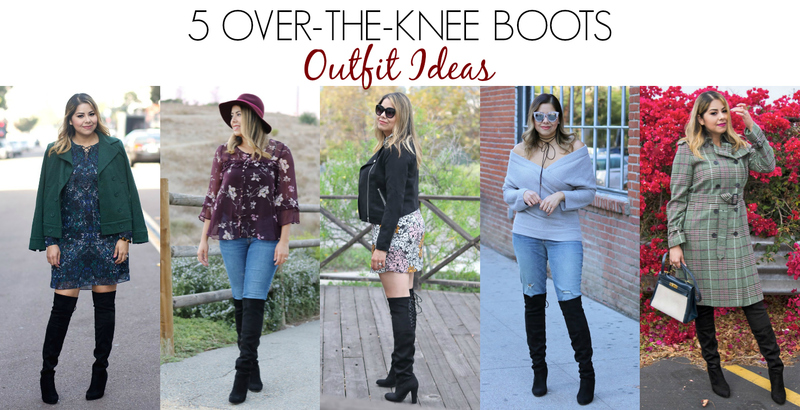 Here are my top 5 looks with black over the knee boots, I have also linked up the ones I'm wearing and a few more of my favorites for your shopping pleasure. Like I said, great investment and so far have proven to come back in style year after year. 1. Styled with a short shift dress and coat. // More pictures of this outfit here! 2. With a flowy top, skinny jeans and a fall hat. // More pictures of this outfit here! 3. Pair them with a matching moto jacket. // More pictures of this outfit here! 4. Pair them with distressed jeans and a sweater. // More pictures of this outfit here! 5. 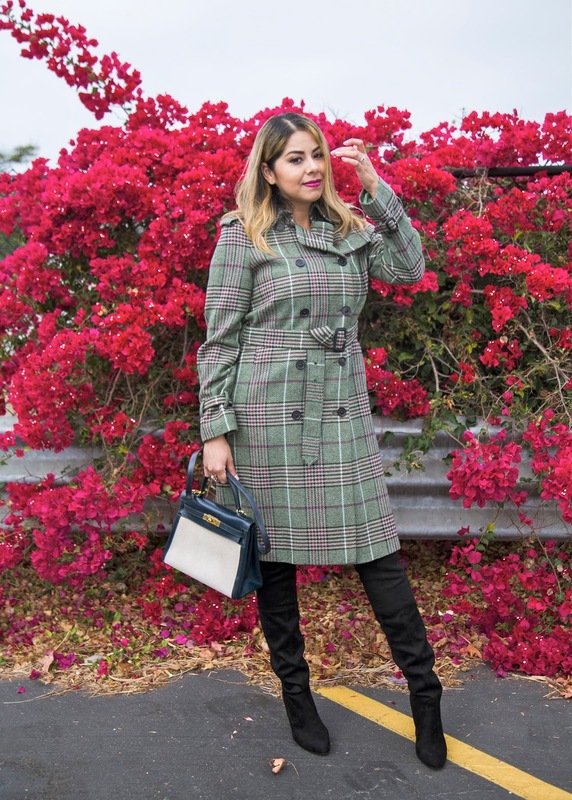 Style them with a long trench // More pictures of this outfit here! Let me know which outfit is your fave! All of them are amazing dear! 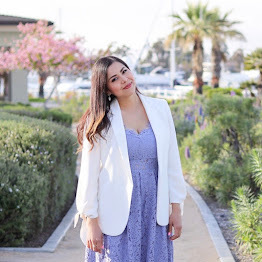 Brunch Outfit & 30 weeks pregnant update!